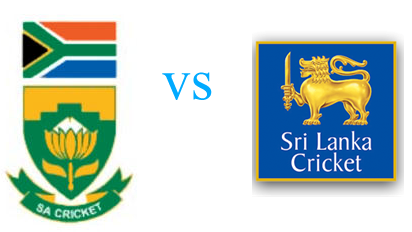 South Arica won the ODI series against Sri Lanka in the Sri Lanka Tour to South Africa in 2011-12. Ater losing the first three matches, the Sri Lankan team fought back and won back to back two matches and got respectable result of the series. Here is given the stats and records of this ODI series of Sri Lanka in South Africa ODI in 2012. 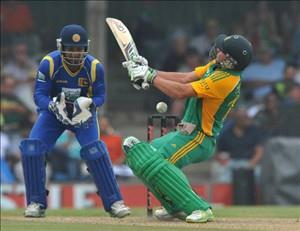 South Arica won the home ODI series against Sri Lanka. After winning the Test series by 2-1, South Arica won all the first three matches of the ODI series with a huge win in the first ODI. Sri Lankan team improved their game in second ODI, but couldn't win the next two matches. After losing the series, the results started to turn in favour of them, as they won two consecutive matches while successfully chasing 300 in 4th ODI and 313 in 5th ODI. AB Devilliers of south Arica is the highest run-getter in this series, while South African captain Greame Smith got his form back by hitting a brilliant hundred in the last ODI. He was also the second highes run-getter in this ODI series. L Chandimal of Sri Lanka is highest run maker in this series from Sri Lanka. In bowling department, LL Tsotsobe of South Africa nad Lasith Malinga with 11 wickets each have topped the charts. Morne Morkel with 8 wickets in the series is third among the bowler. It was the first ODI, where they got a humiliated defeat. After conceding 301/8 which include Hashim Amla's fine hundred of 112 off 128 balls, the visitors were bowled out on just 43 runs in 20 overs. Morne Morkel and LL Tsotsobe makes it hard or the Sri Lankan batsman in the match.